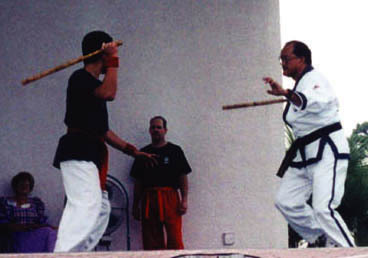 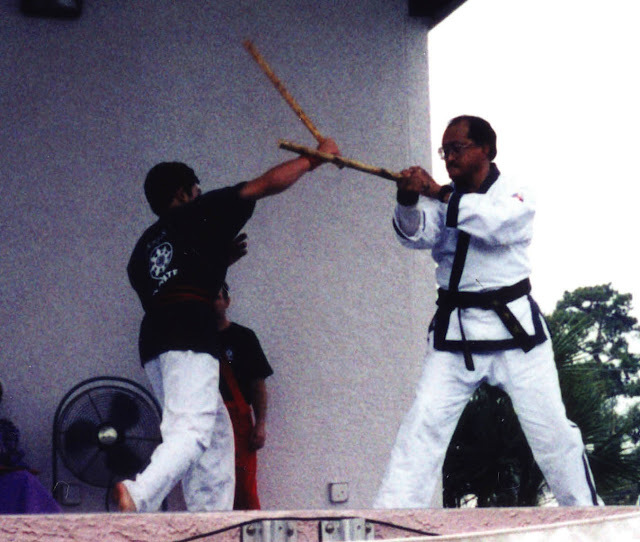 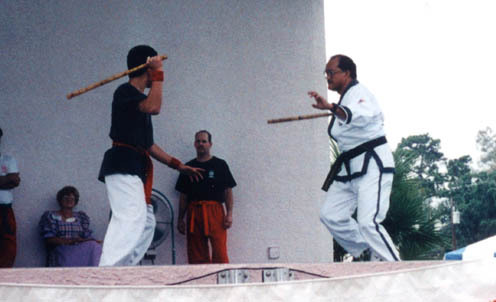 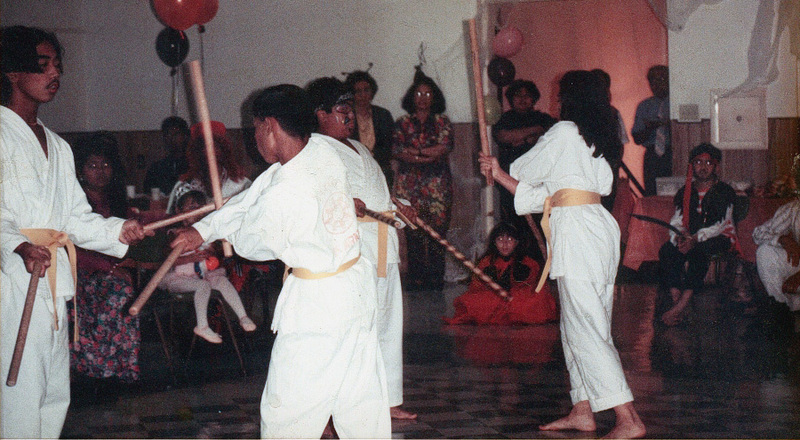 Arnis is a combination of several armed and unarmed Martial Arts techniques. 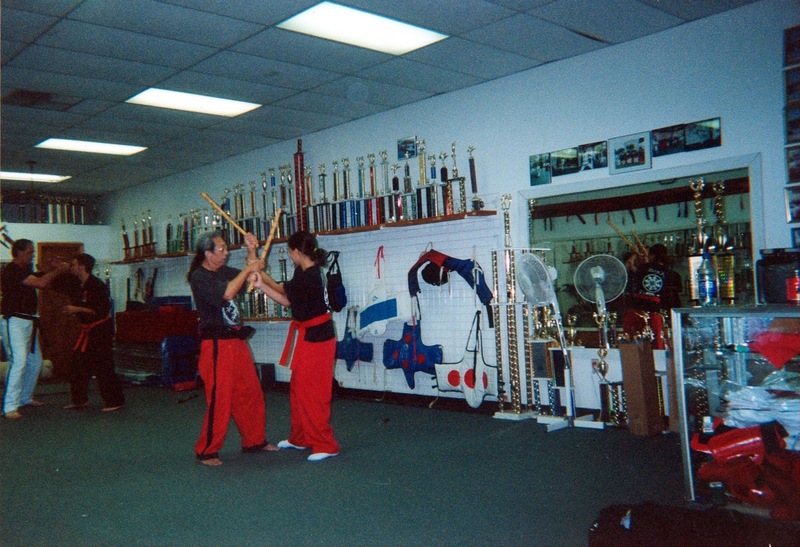 Unlike other arts that get tougher to do as you get older, Arnis can be taught at a very early age until the later years, even the late seventies. 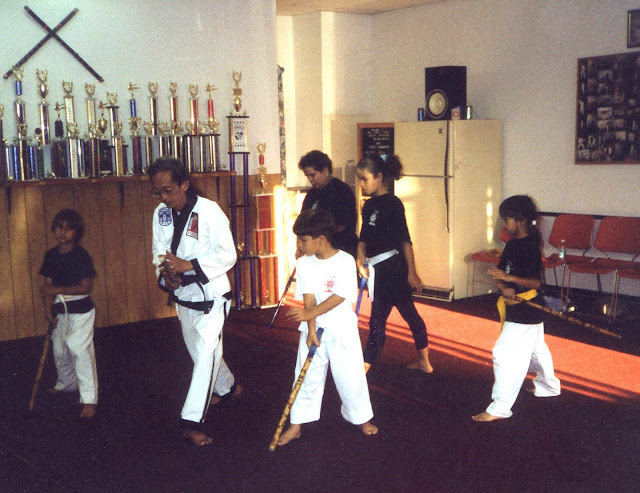 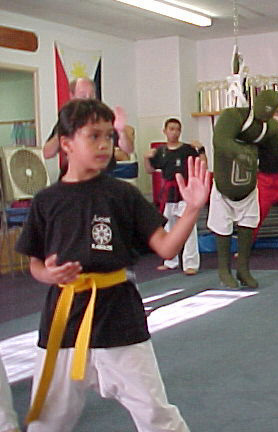 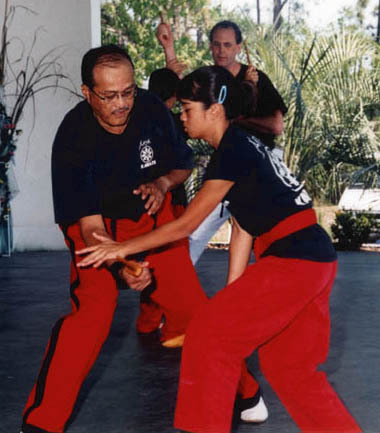 As long as you can move your hands and feet, you can learn the art and still defend yourself. 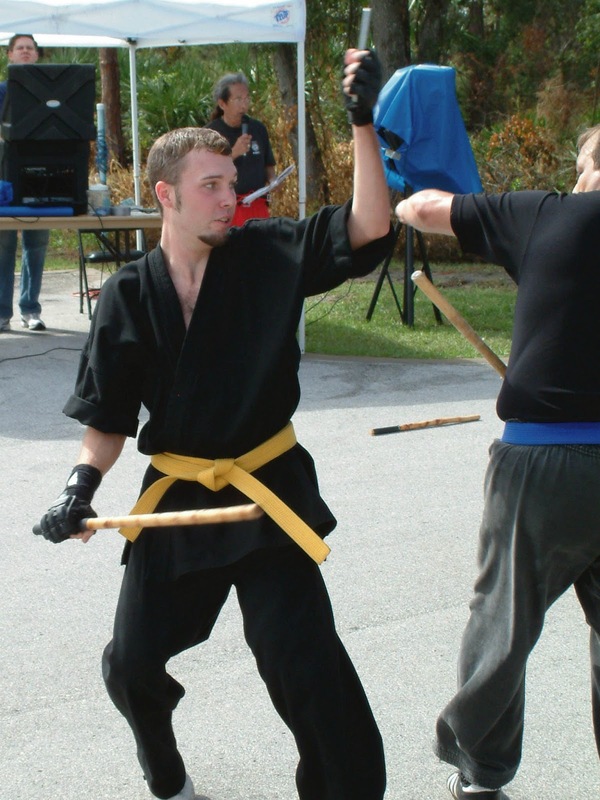 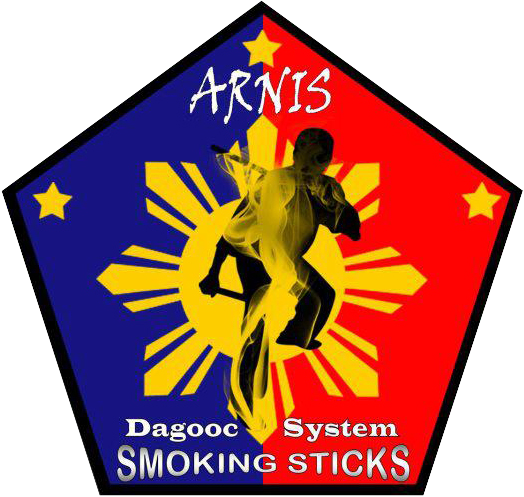 Arnis is the most effective method of weapon and weaponless self-defense or unarmed combat, utilizing both hands and feet. 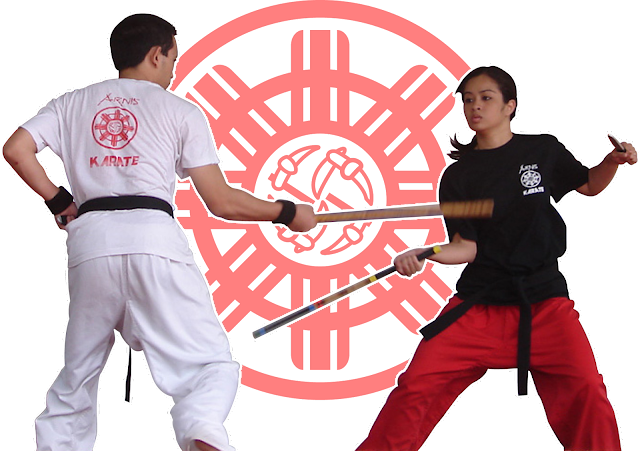 It is also a method of maintaining strict physical and mental discipline, coordination and a way of strengthening the mind and body. 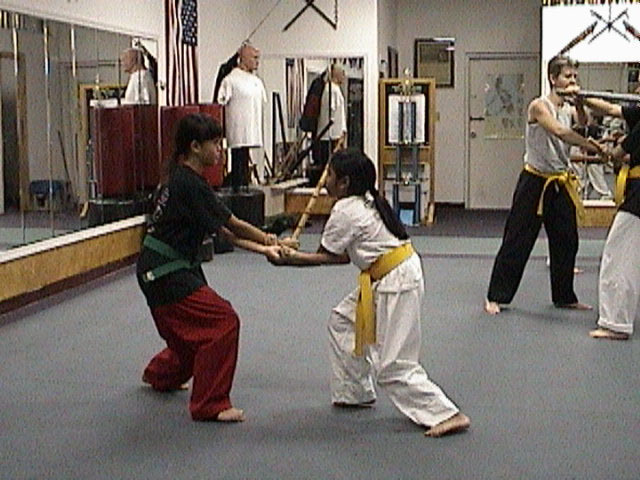 It improves your power and speed by using your opponent’s flow of motion. 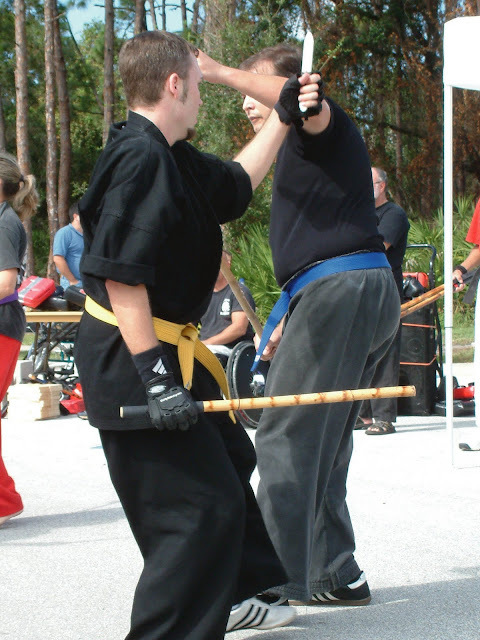 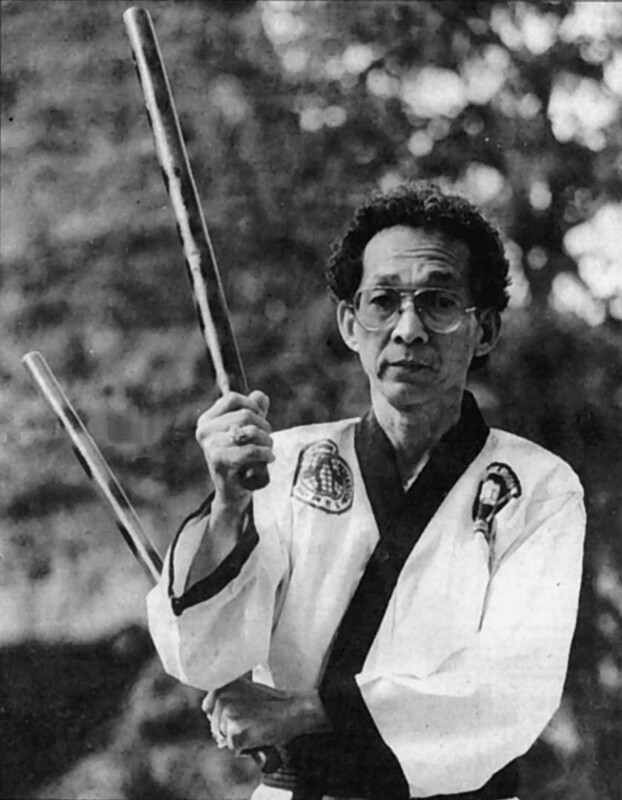 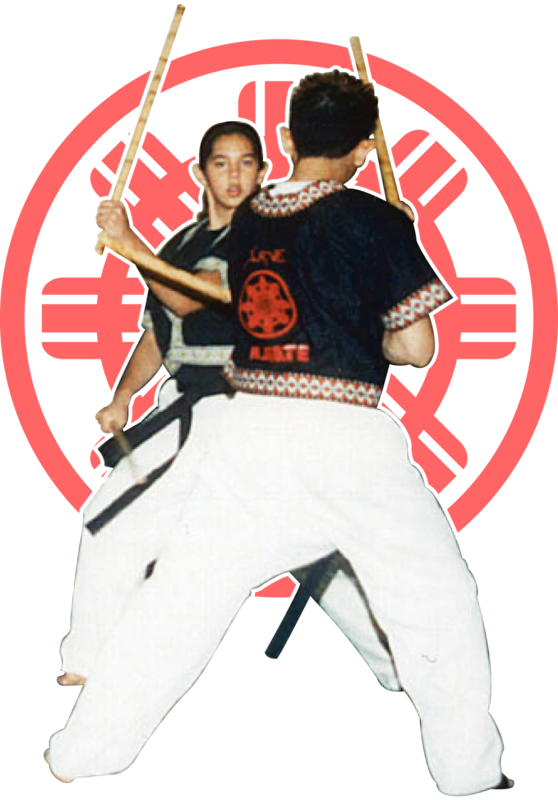 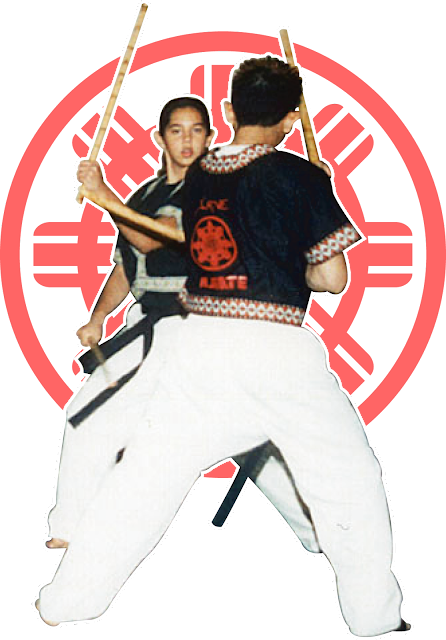 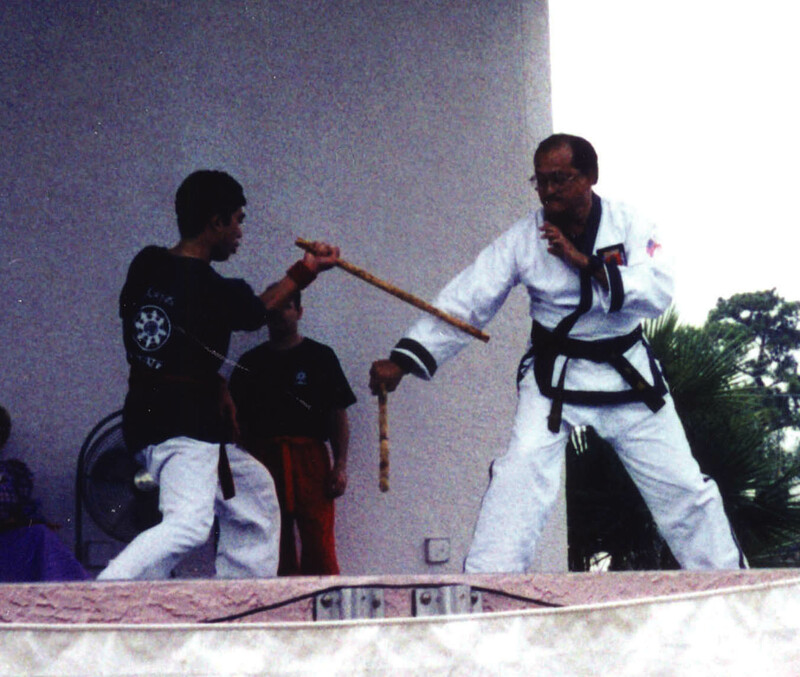 Modern Arnis incorporates empty hand translations based on the same path used in single stick solo baton and double sticks sinawali. 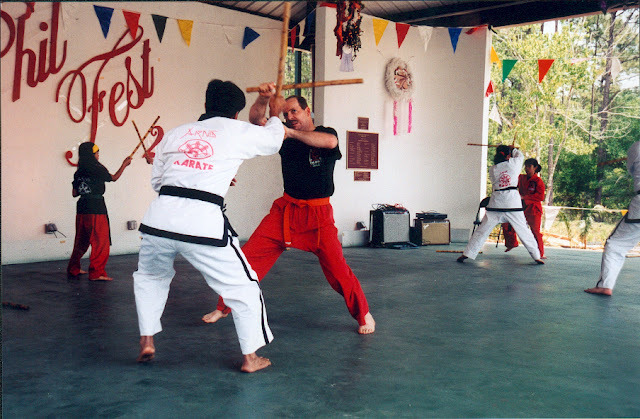 HOW SAFE IS THE ART? 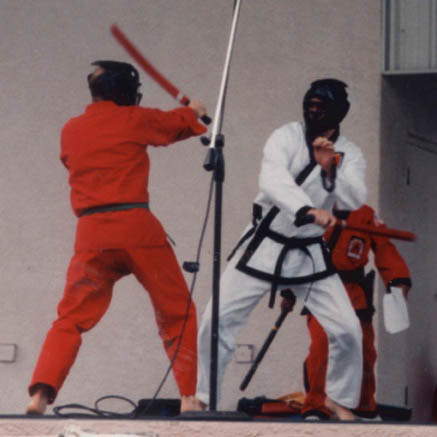 devices such as mouth guards, body guards and a cup supporter for males. 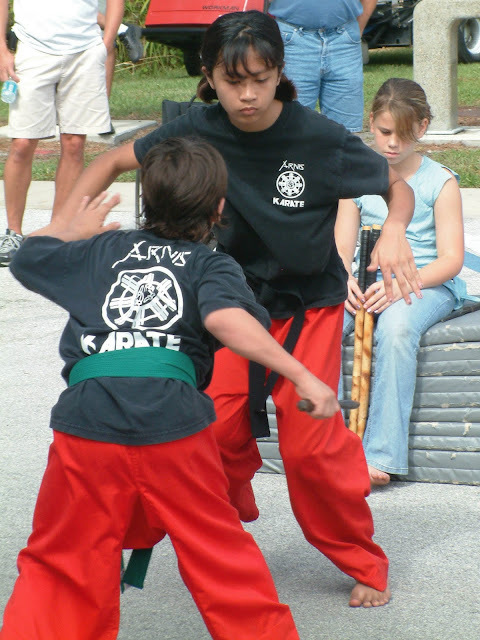 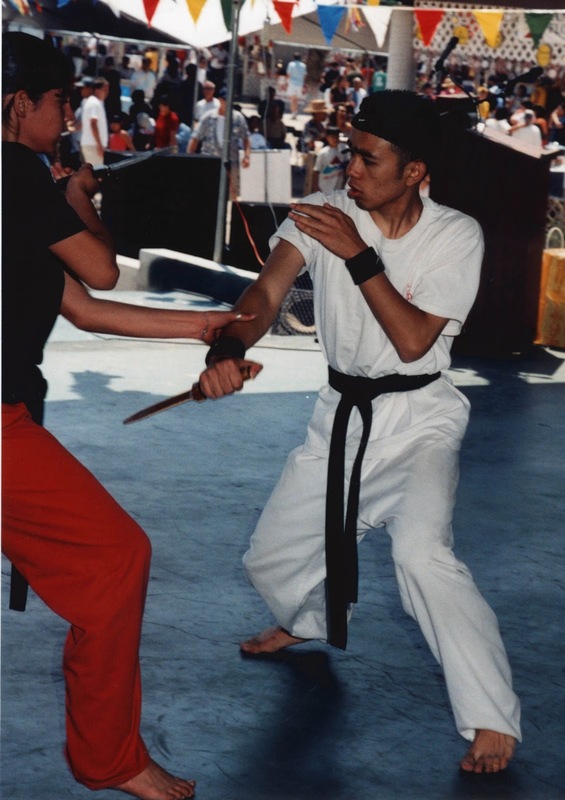 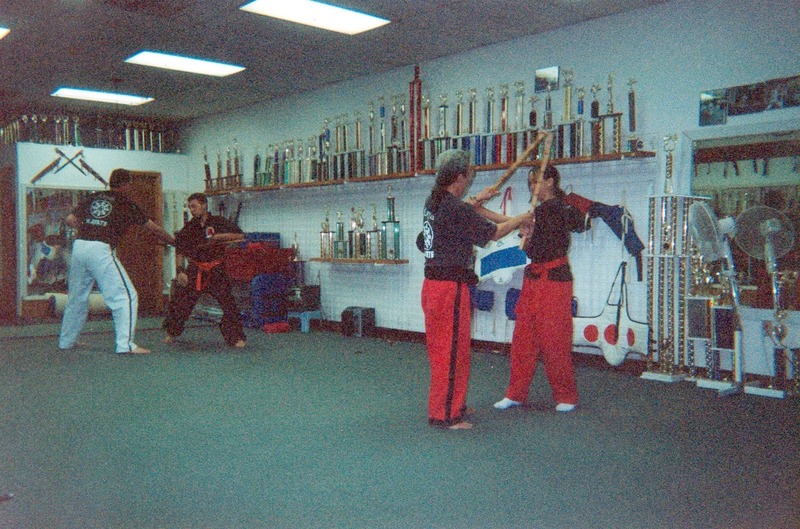 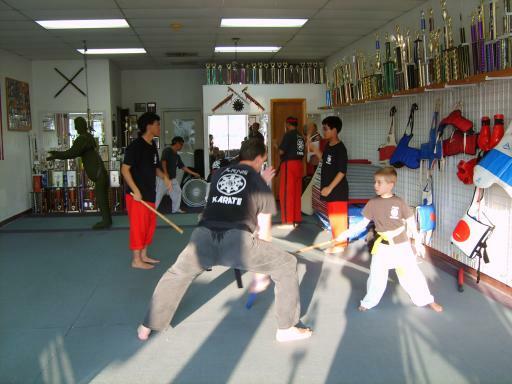 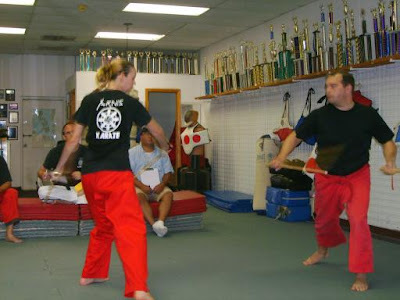 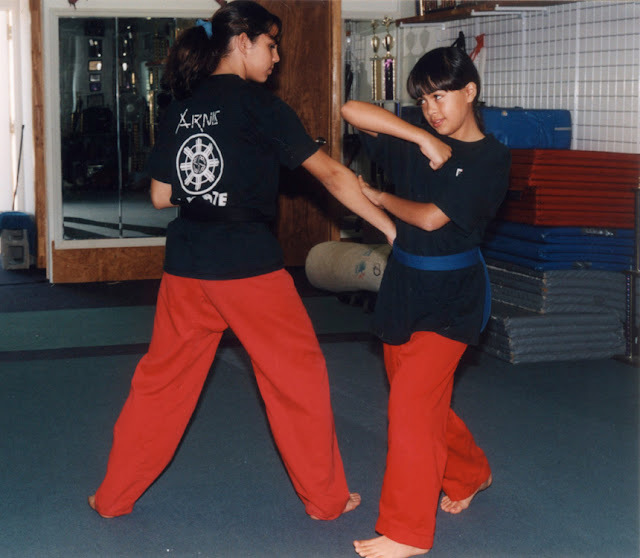 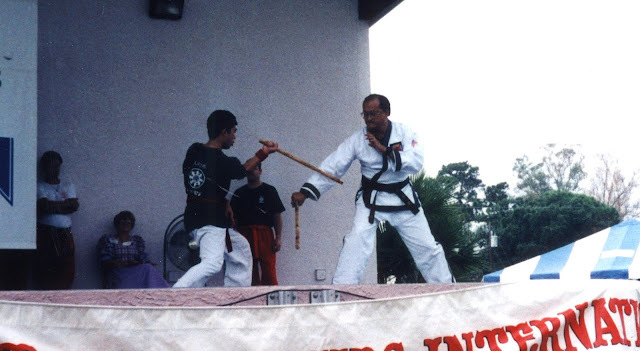 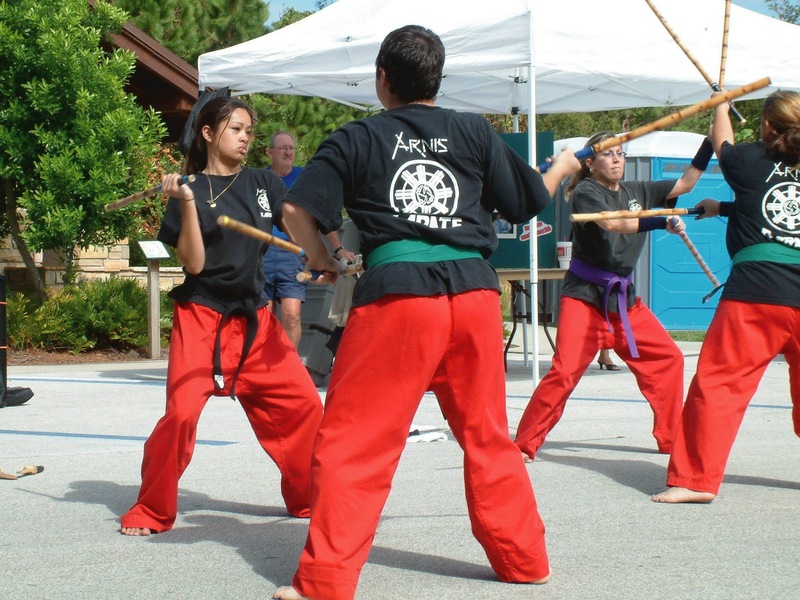 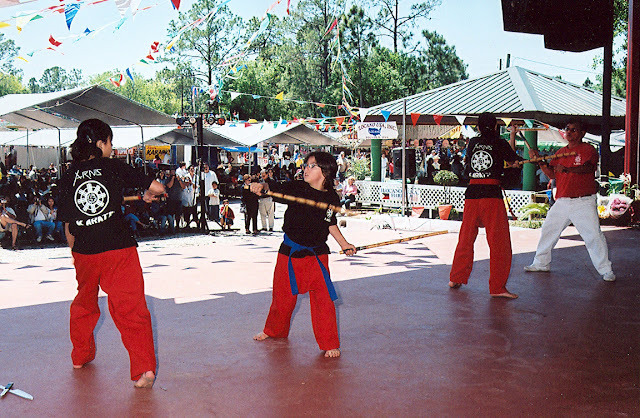 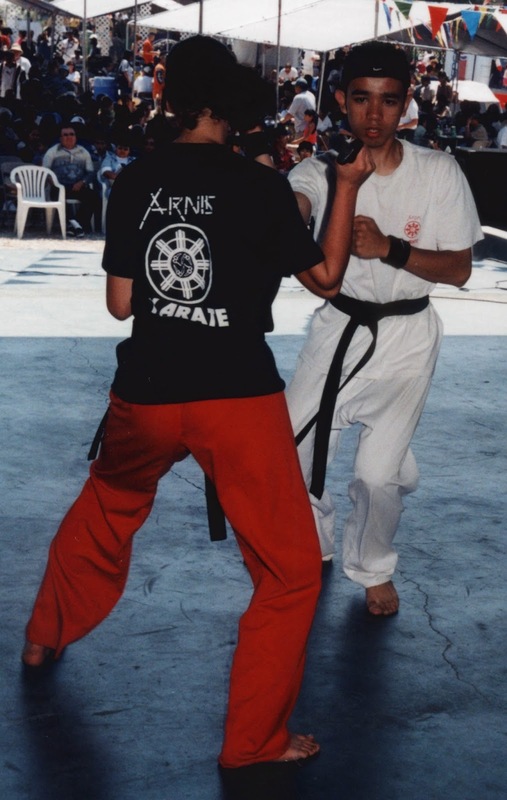 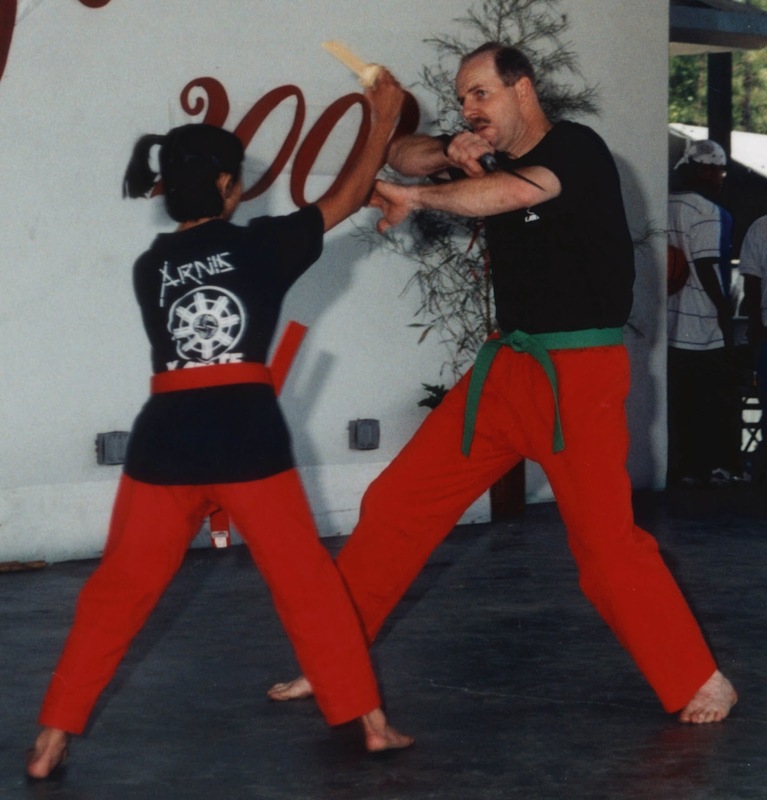 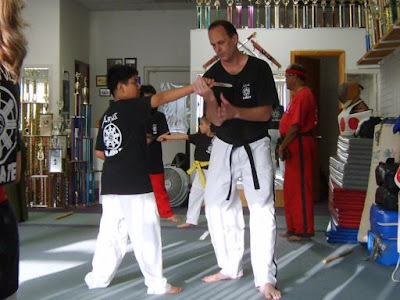 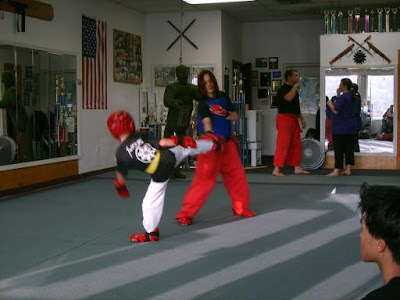 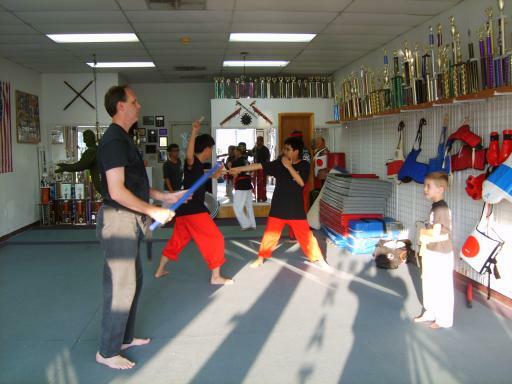 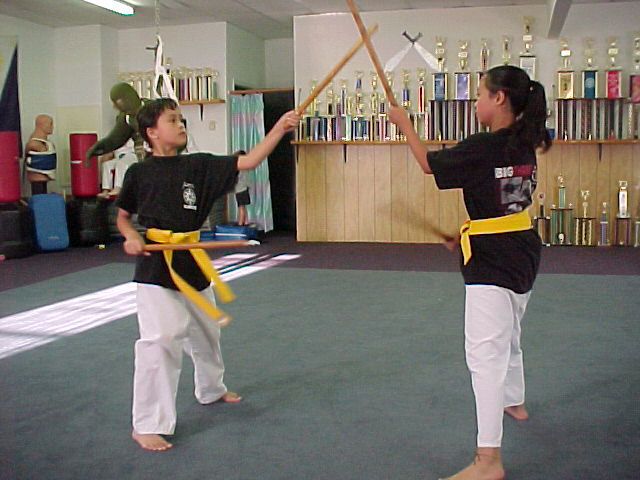 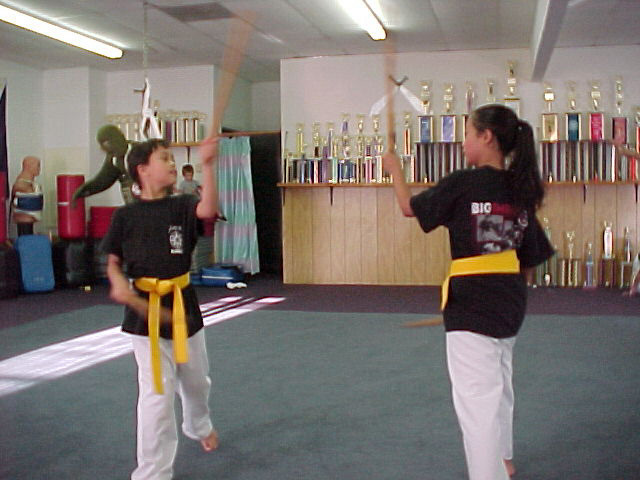 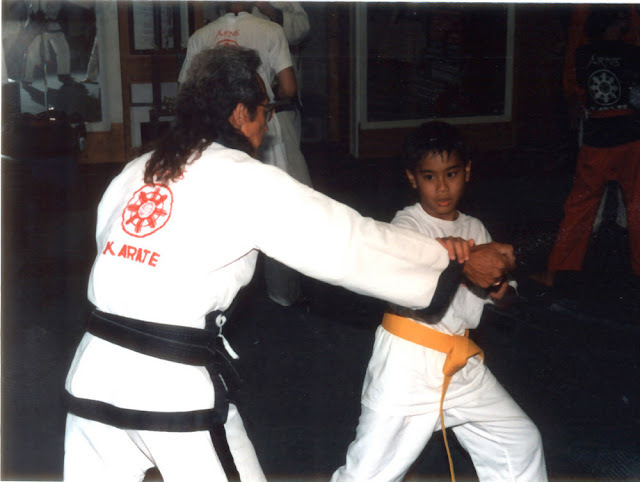 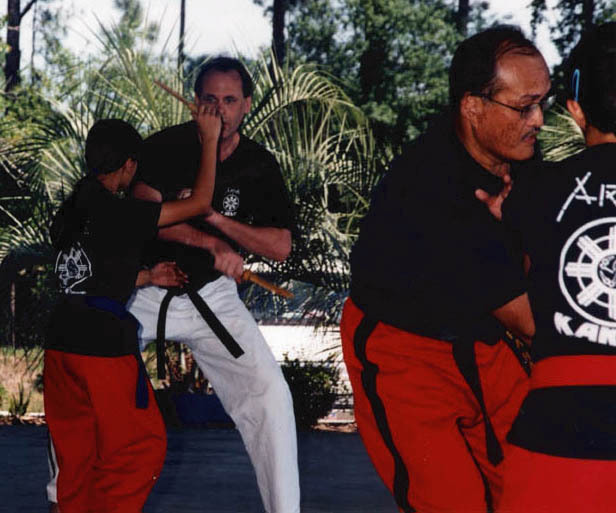 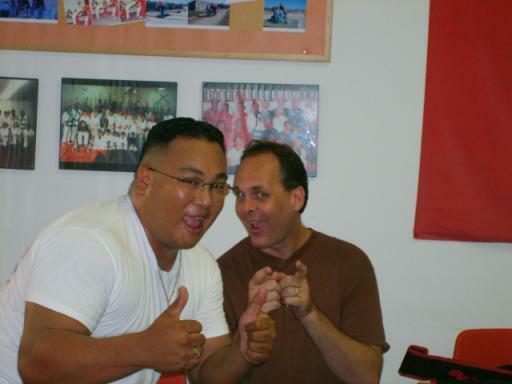 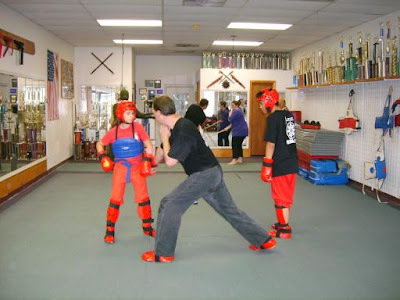 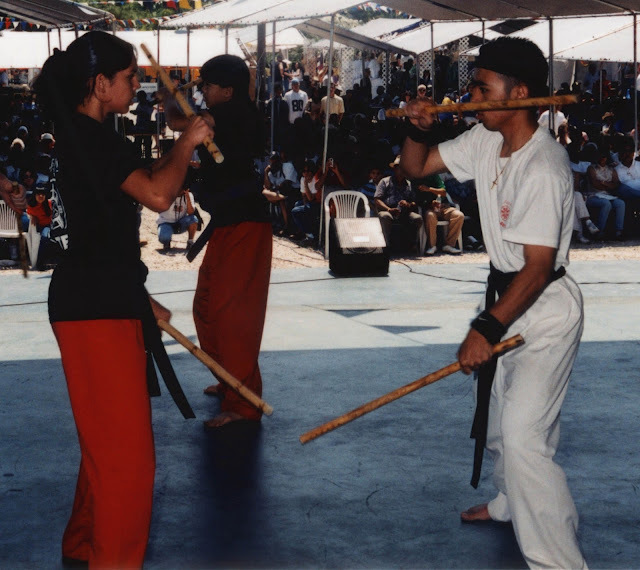 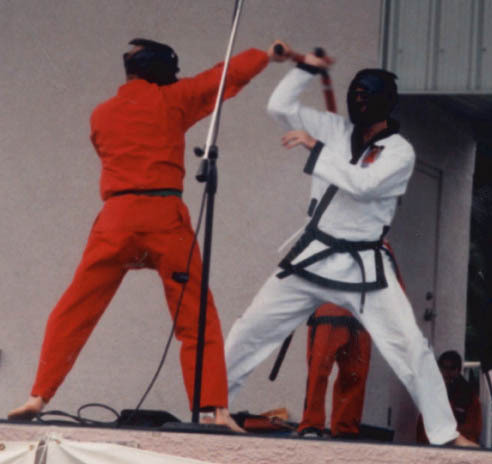 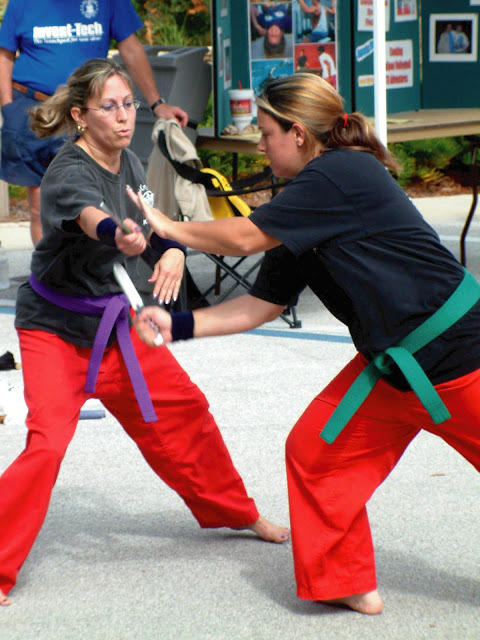 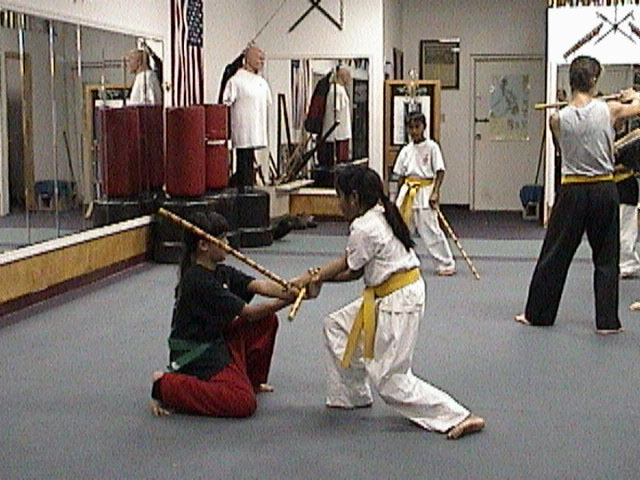 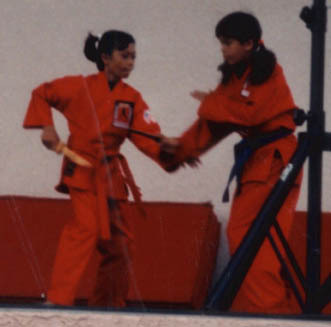 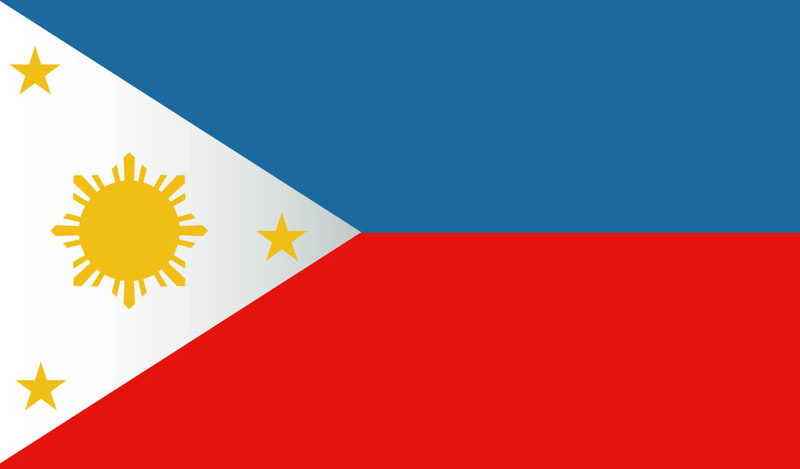 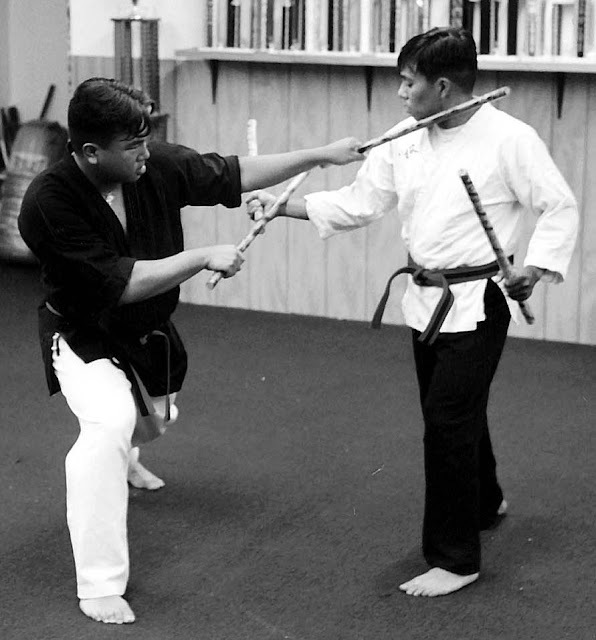 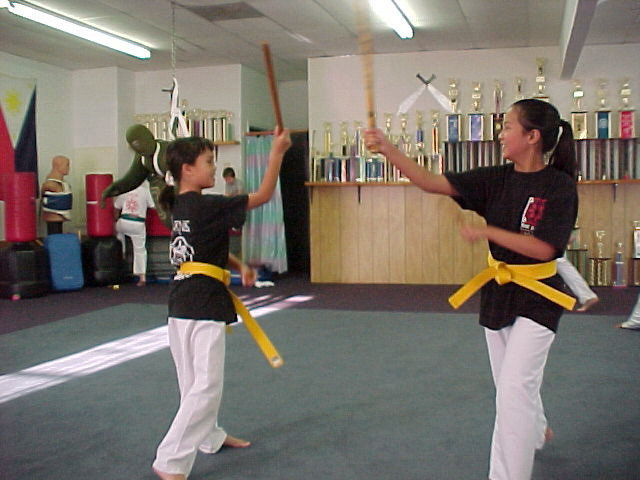 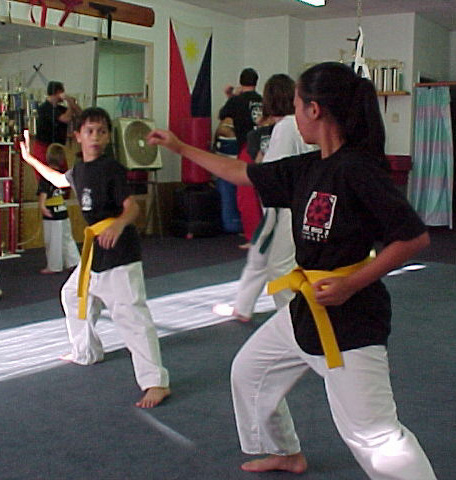 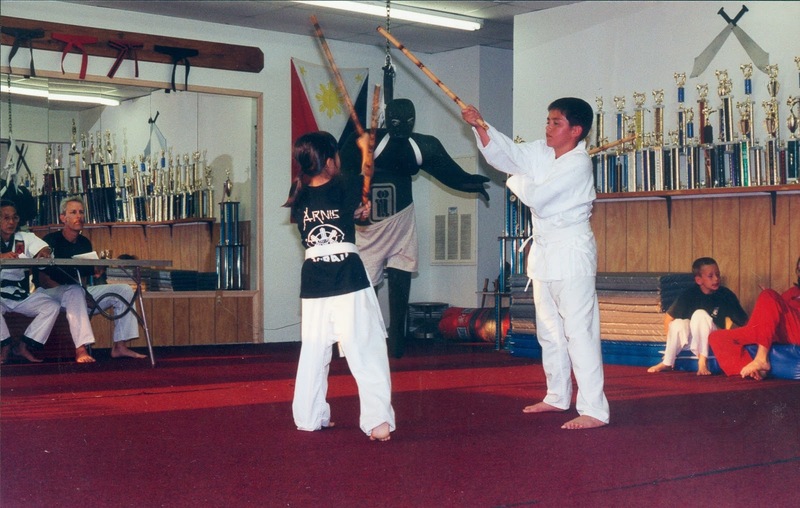 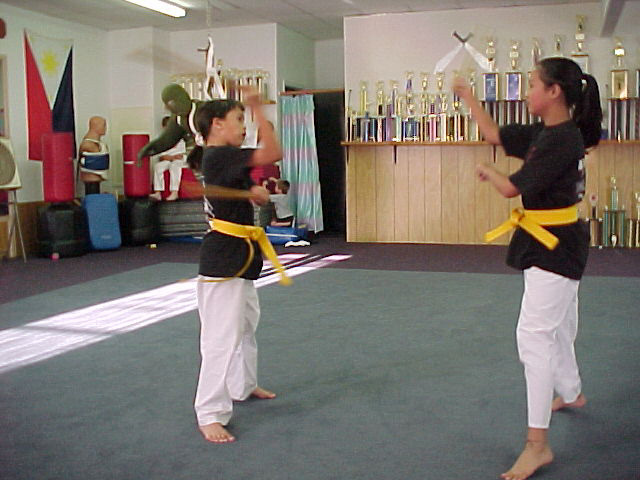 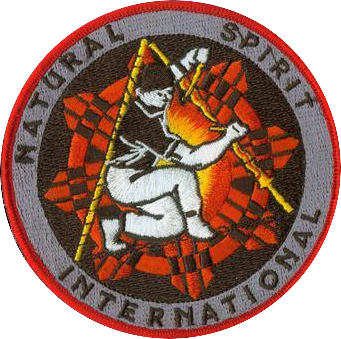 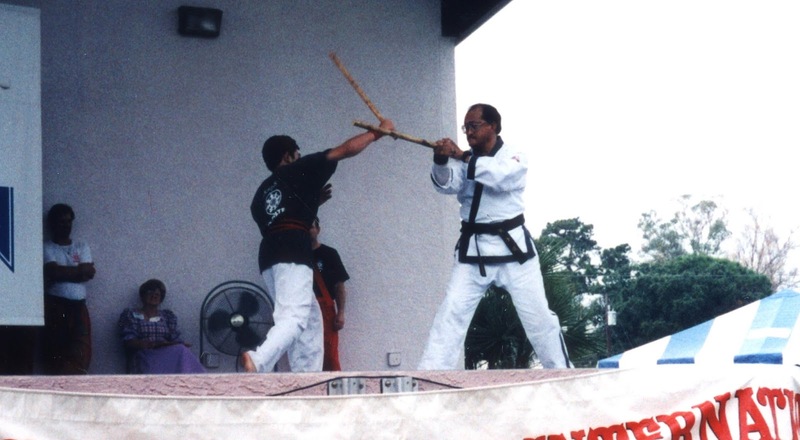 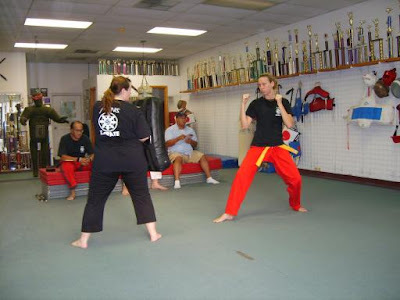 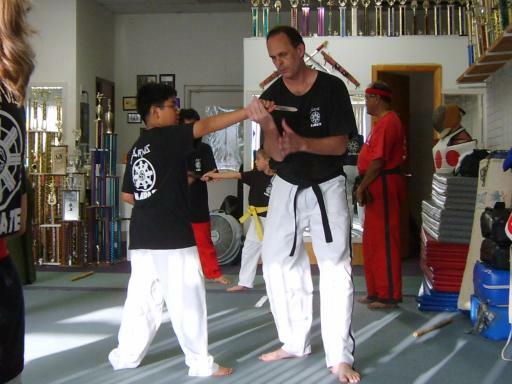 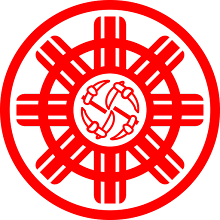 The Arnis Karate School utilizes a combination of several martial arts techniques that, unlike other arts that get tougher as you get older, can be taught at a very early age and into the very late years. With Arnis you don't have to be an athlete to learn a martial art; if you can move your hands and feet you can learn to defend yourself.